Balancing is the art of mounting a wheel and tire in the smoothest way. The tricky part begins when you are looking to match large wheel sizes, from 19” and up, with high performance tires. 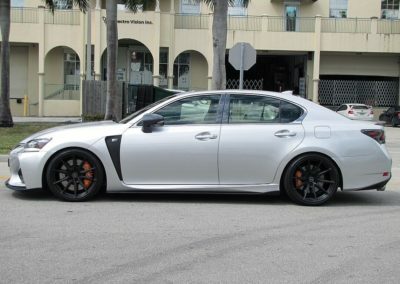 Therefore, at Miami Autosport, we carry the best technology for your high performance vehicle: RoadForce Balancing. When should you Balance a tire? Every time a new or existing wheel is matched with a new tire, even if size remains unchanged, you need to balance your wheel. Also, if you experience vibration problems this too can be solved with balancing. As a result, balancing can identify vehicle pulls and return your vehicle to initial factory settings. Creating that new car-ride status. Why you should you do balancing? Wheel rotation and wheel balance must be performed at regular intervals to prevent your car from shaking due to irregular tire wear. By doing this, you will regain that new car smooth ride, stop steering wheel vibration, and save money on tire replacement. At Miami Autosport, we pride ourselves with our state of the art equipment. Therefore we hold the fastest road balancing and most efficient technology: RoadForce Balancing. Unlike a standard balancing machine you would find in any average shop, RoadForce Balancing is fully automated and digital. Moreover, our certified technicians are factory trained to operate this industry leading technology. From automated parts to ensuring proper setting, the system eliminates human error and delay. All this combines to improve the durability of your wheels and your safety when driving. What are the Benefits of RoadForce Balancing? When it comes to large wheel sizes (from 19” and up), special alloy materials or carbon fiber wheels the key to Balancing is to be extremely careful. 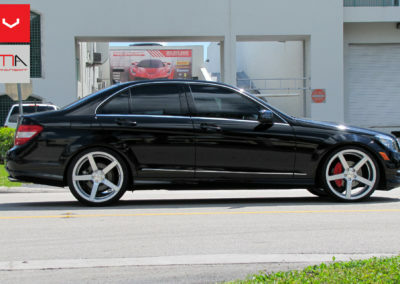 At Miami Autosport we care very much about your wheels. With its advanced technology, RoadForce Balancing will Balance large rims and high performance tires without losing their characteristics. Finally, we specially recommend Road Force Balancing for brands like Ferrari, Lamborghini, Maserati, Porsche, Mercedes-Benz, BMW, Audi, Lexus, Infiniti, just to name a few. Also, RoadForce Balancing is recommended for upgraded SUVs and off-road vehicles. Click the video bellow to fully understand the power and speed of this machine. Book Your Next RoadForce Balancing!